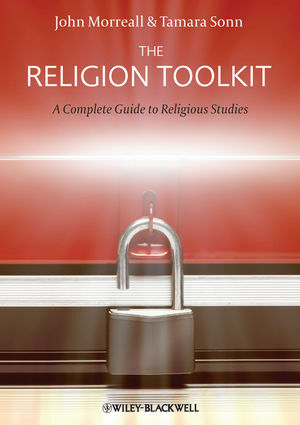 This complete overview of religious studies provides students with the essential knowledge and tools they need to explore and understand the nature of religion. John Morreall is Professor of Religious Studies at the College of William and Mary. He has published widely in the philosophy of religion, and on the comic dimensions of world religions. His book Comedy, Tragedy, and Religion (1999) won the Choice Outstanding Academic Book 2000. He is also the author of Comic Relief: A Comprehensive Philosophy of Humor (2009), published by Wiley-Blackwell. Tamara Sonn is the Wm. R. Kenan Distinguished Professor of Humanities in the Department of Religious Studies at the College of William and Mary. Her books include Comparing Religions through Law: Judaism and Islam (with J. Neusner, 1999) and Islam: A Brief History, 2nd edition (Wiley-Blackwell, 2010). She was senior editor of the Oxford Dictionary of Islam (2003), and associate editor of The Islamic World Past and Present (2004). She is currently an editor of Oxford Islamic Studies Online, and of Encyclopedia of the Islamic World (2009). In addition, Sonn is editor-in-chief of Oxford Bibliographies Online: Islamic Studies, and co-editor-in-chief of Wiley-Blackwell's Religion Compass.